Submissions for The Thread of Life are now closed. 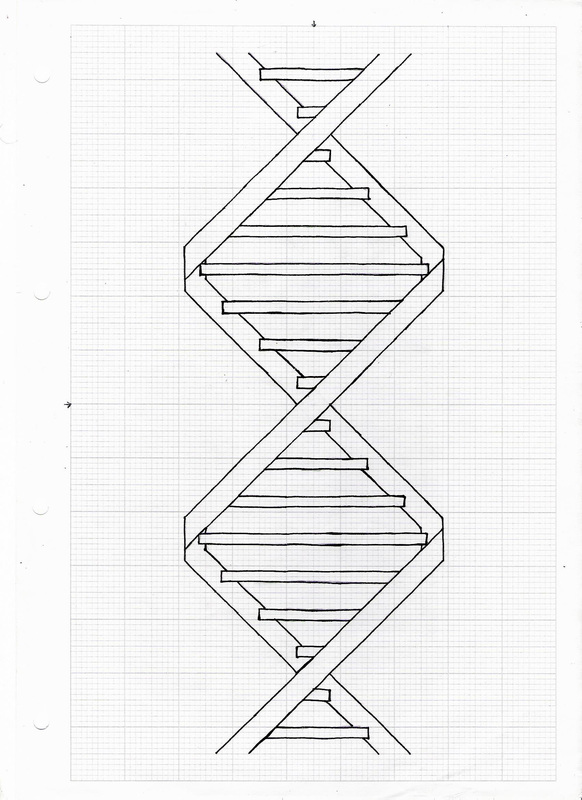 You can still download the pattern above and have a go at making your own Thread of Life DNA strand. I’d love to see your work. You can find me on Facebook and Twitter. I would like to do a piece on the Duchenne Muscular Dystrophy gene! I would like to part in your Thread of Life cross stitch project and it sounds very interesting. I found out about it from my local WI group , The Darling Roses in Alwoodley Leeds 17, which is part of the Leeds federation of the WI. I haven’t decided yet on a title for my piece. I notice you have asked for the finished piece not to be framed, but would it be ok to bind the edges in material/ribbon or suchlike? It’s great that you want to take part. You can do whatever you like to the edges of the piece, and to the piece of work in general. The pattern is a template really, which you can adapt as much or as little as you like. You really can do anything you like to the pattern, and be as experimental as you chose with your own work. I would like to participate in your project. i am just finishing my FDA at Newcastle College. you have given some really interesting development ideas, thank you for the list. It is a very inspiring project , I can not wait to get started when my course finishes.Thank you for posting this project.